My name is Bradley, and this pretty girl standing next to me is my beautiful bride-to-be Marisa. I grew up in Lisle, Illinois and have lived there virtually my entire life. The Lord saved me from my sins as a young child, and I have grown up in both a strong Christian family and church. While in High School at Downers Grove North, I became extremely involved in numerous ministries both at school and at church (The Compass Church in Naperville, IL). The most notable ministry, which I often cite as being one of the greatest influences in my life, was a High School Bible Study. While leading that ministry, it became clear that I was on the trajectory towards full-time ministry. So, my senior year of High School I submitted my application to Moody Bible Institute. I began my career at Moody in 2013 as an Intercultural Ministries Major thinking I would eventually end up as a missionary overseas. God directed my thinking elsewhere, and I ended up switching my major to Church Planting. A primary component to this major was a year long residency internship which I ended up doing in Utah! I quickly became entrenched in evangelism to Mormons, and have been studying Mormonism in order to more effectively minister to the LDS people. Throughout the last year of me being in South Jordan, UT at The Mission Church as a Pastoral Resident, it became clear that God was shifting the pieces of my life and positioning me to become a missionary in Utah. If we haven’t met before, my name is Marisa Brooks (soon to be Campbell). 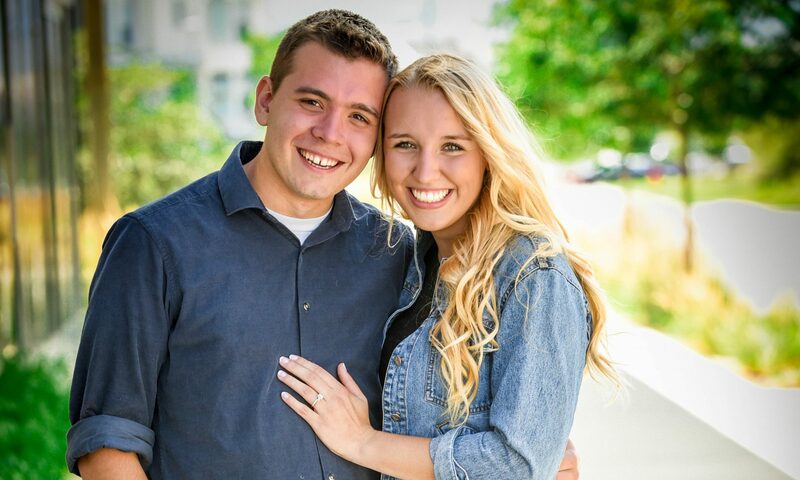 I’m completely overjoyed to be marrying my handsome fiancé in just a few months, and we are excited to begin the mission God has directed our lives toward! I was born into a Christian home in Downers Grove, Illinois, and was saved by Christ as a child. Because of this, I was eager to share God’s love with everyone I knew! In 2012 I was baptized at The Compass Church, and just a few years later I was accepted to Olivet Nazarene University as an Early Childhood Education major. I ended up switching my major multiple times in those 2 years and decided to come home until I found more direction. Once home, I began working as a dental assistant and joined a Bible study which Bradley was teaching on the book of Romans. This intense study wrecked my heart and pushed forward the process of sanctification in me. It was also during this time that Bradley and I began dating! I eventually decided to pursue a degree in Dental Hygiene at College of DuPage. I was one of the few who got accepted, yet I knew the moment I read the letter that I wouldn’t be attending. Sometimes God isn’t clear with His will. Sometimes he lets you wonder which direction to turn, and uses that experience to grow you. This was one of those times, and I ended up turning down the logical choice so that we could move to Utah. To quote Wonder Woman, “Who would I be if I stayed?” I used to think you needed a Bible Theology degree to be in ministry, but God has shown that he can use even a dental assistant to love His children and share the Gospel. I’m nervous to leave everything I know behind, but am excited to trust God in ways I never have before. The single most important thing to know about us is simply that we are Christians. Our lives are completely dictated by God’s plan for us. Marisa and I know this plan because God has clearly spoken through His Word, The Bible. We believe that every word of the Bible comes from the mouth of God, and so as Christians we want to obey everything the Bible says. The Gospel of Matthew records Jesus telling His disciples to “Go, therefore, and make disciples of all nations, baptizing them in the name of the Father and of the Son and of the Holy Spirit, teaching them to observe all that I have commanded you” (Matthew 28:18-19). This means that God’s plan for our life is clear: to find those who are not Christians, and to teach them about the Gospel. These unreached people are—in their current state—hopeless, lost, and destined for eternal punishment. This mission, which God commanded by His Word, has led us to invest our lives in ministry. We will spend the end of 2017 and the beginning of 2018 support raising. 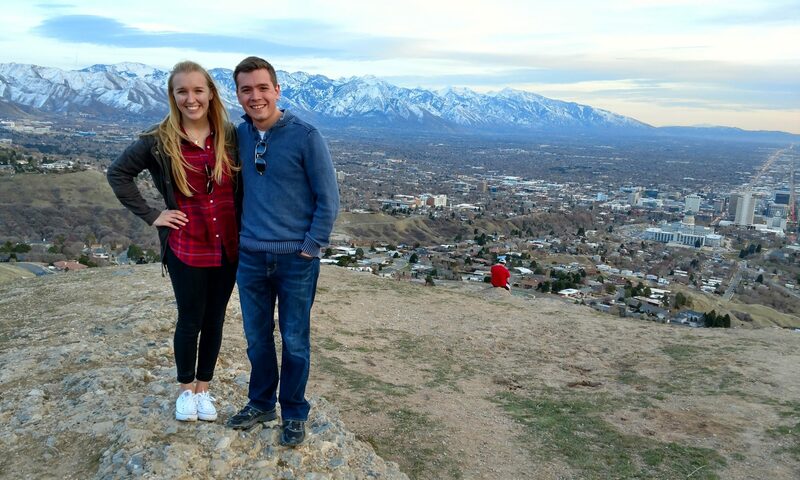 In Februrary 2018, we’ll get married, pack up the car, and head out to Utah! My name is Bradley, and this pretty girl standing next to me is my beautiful bride-to-be Marisa. I grew up in Lisle, Illinois and have lived there virtually my entire life. The Lord saved me from my sins as a young child, and I have grown up in both a strong Christian family and church. While in High School at Downers Grove North, I became extremely involved in numerous ministries both at school and at church (The Compass Church in Naperville, IL). The most notable ministry, which I often cite as being one of the greatest influences in my life, was a High School Bible Study. While leading that ministry, it became clear that I was on the trajectory towards full-time ministry. So, my senior year of High School I submitted my application to Moody Bible Institute. I began my career at Moody in 2013 as an Intercultural Ministries Major thinking I would eventually end up as a missionary overseas. God directed my thinking elsewhere, and I ended up switched my major to Church Planting. A primary component to this major was a year long residency internship which I ended up doing in Utah! I quickly became entrenched in evangelism to Mormons, and have been studying Mormonism in order to more effectively minister to the LDS people. Throughout the last year of me being in South Jordan, UT at The Mission Church as a Pastoral Resident, it became clear that God was shifting the pieces of my life and positioning me to become a missionary in Utah.